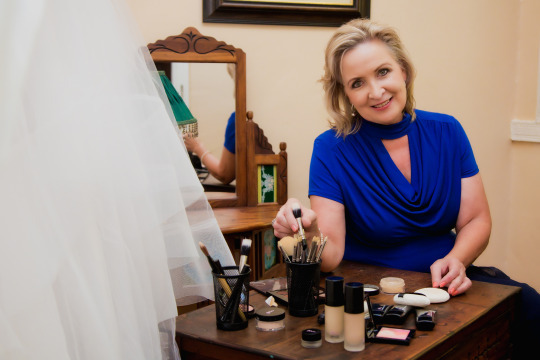 Wedding Date had a quick chat with make-up artist and wedding image consultant, Gerda. Gerda is the founder and owner of Making Faces, based in Johannesburg, and traveling the world. Gerda,please tell us a bit about where your passion started for perfecting a brides image on her big day? In 2003 bridal makeup became part of my life. If you miss having your own daughter there is nothing more rewarding than spending special days with brides. To work in the bridal industry is very rewarding but a passion for your work is the key. -Please tell us a bit more about wedding image consulting? 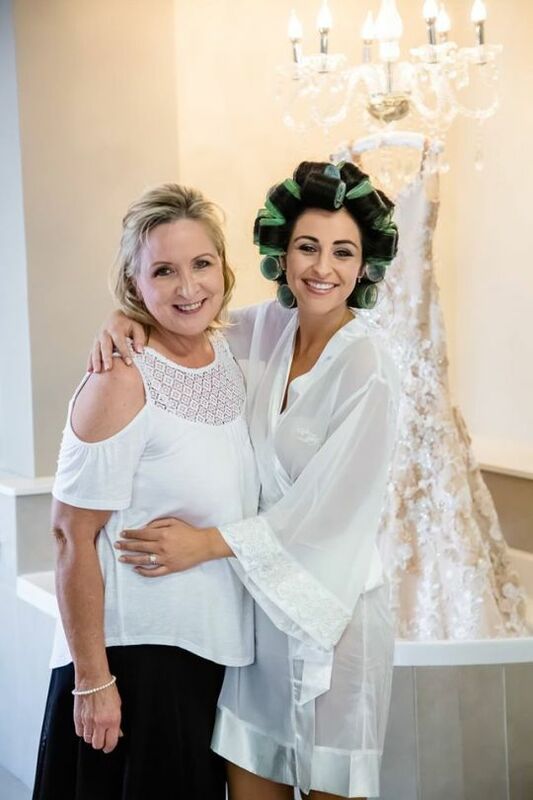 After completing a full time professional makeup course at the makeup school in Cape Town I realized that becoming a bridal artist takes a lot more work. It felt wrong for me to call myself an artist as I needed to have my own signature in this industry which is now flooded with artists. I work in my skincare clinic during the week and on weekends I spend time with brides doing makeup, also attending their weddings to provide an extra service doing touch ups on makeup. Behind the scenes I learned so much about the image of the wedding that it soon became part of my service to my brides to help with image detail they can easily overlook. -Out of your experience, what is the best tip you can give to a bride regarding makeup on her wedding day? If you choose a wedding makeup artist she will be able to create the look you want under the stress of the day. You need to have confidence in her skills. Be careful with too much fake lashes and black liner which will create dark shadows around your eyes.Remember your guests will send cell phone photos around before the edited ones of your photographer are available. -Should a bride consider her dress and hair when choosing a makeup style? Bridal makeup and hair must enhance your features and have nothing to do with most dresses. I even like to do a change of makeup and hair when the bride do the opening dance just to create a mood. -How important is it to book a trial before the wedding? It is more important to meet your artist before than to do a trial makeup. You will immediately know if you trust her experience and her personality before you waste time and money on a trial. 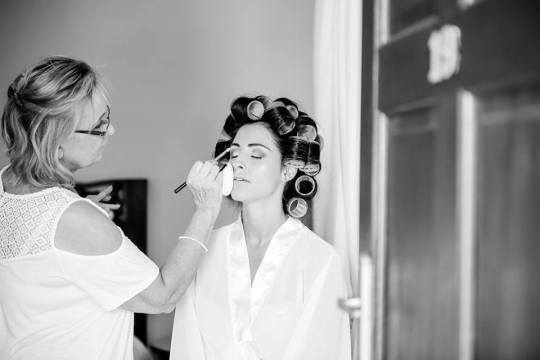 It is easy to do makeup changes with a session but it is difficult to have an artist with you in the room on your wedding day that gets irritated with the demands of your bridal party. -Should one do make-up or hair first on the wedding day? It is important for the artist and the hairdresser to communicate on the day of the wedding. I will always try and do foundations before hair and then finish off the rest of the look after hair is done. -What does skincare coaching entail? Skincare is the basis of good long-lasting makeup. If brides are able to choose a makeup artist with skincare experience it will be an advantage as she needs to prepare her skin months before the wedding. My image consultation involves a skincare talk with the bride which is just as important as the makeup… If the bride consult with another skincare therapist I need to know her routine as I will be the one at the end facing the bride for the final look however if I do have a last minute crisis with breakouts etc. I will be able to take care of it. Do you do airbrush and what is the difference? -The application of foundation is to me the most important part of the look and if you find a product that works for photography and makes your bride happy you stay with it. I learned about airbrush long before it came into this country and decided to stay with my technique of application. -So you think it’s important to book the makeup artist for the whole bridal party? There is a new trend of having 6 bridesmaids and the experience artists will be out of the brides budget. She will then have to make use of the more affordable artist that she will later find cannot cope with the bride and the bridal party. I agree that its huge expense for the bride but the answer is not the inexperience artist that will leave your bridesmaids unhappy. I still prefer the weddings with not more than 3 bridesmaids where I can give them all the look they want with the time available and a less busy bridal room. Let us face it, we hardly have bridal dressings rooms available that cater for so many people when your photographer arrive. -Any other thoughts or advice for our brides? If you book service providers that have a history of good service in the industry meet them as often as you feel. You need to then sit back and enjoy this time as they need to take care of you and know how important this day is for the couple. After all the future of our businesses lies in the approval of the service we provide to our clients. Thanks Gerda for your time and tips, we really appreciate it! Wedding shoes : high or low?